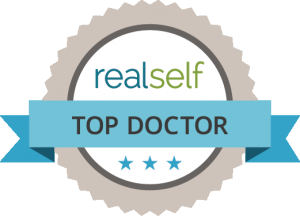 Dr. Brucker is a skilled La Jolla plastic surgeon with more than 15 years in practice. Combining both technical expertise and an artist’s intuition of the human form, he provides patients with the natural-looking and aesthetically pleasing changes they seek. In Dr. Brucker’s care, you can expect a high level of individualized attention and his personal investment in not only meeting, but exceeding your expectations. He founded his practice on the premise that offering patients more time in direct consultation, detailed information about their options, and a greater focus on their comfort creates the best results and the best patient experience. Based on a track record of excellent outcomes and a practice that is driven by referrals from happy patients, this approach has been proven most successful. 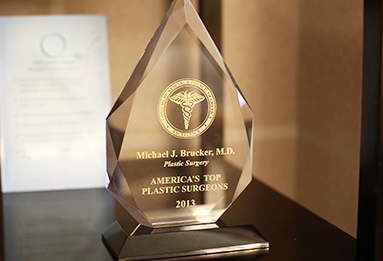 Dr. Brucker is certified by the American Board of Plastic Surgery. 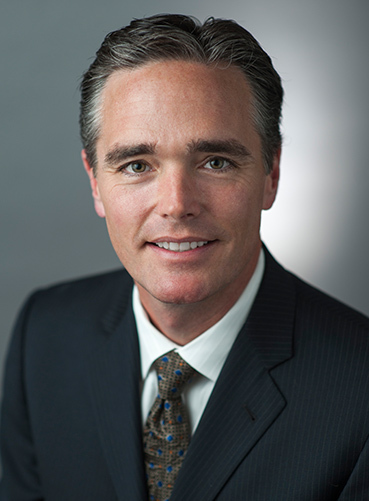 He is the current President of the San Diego Society of Plastic Surgeons and the former Medical Director and present Board Member of Fresh Start Surgical Gifts. He is a Fellow of the American Society for Aesthetic Plastic Surgery and the American College of Surgeons. In addition, he has hospital privileges with both Scripps Memorial Hospital in La Jolla and Rady Children’s Hospital as a Staff Surgeon. Dr. Brucker received his medical degree from Northwestern Medical School in Chicago, Illinois. He completed a significant portion of his post-degree training at the Brown University School of Medicine and in its renowned plastic surgery program. His training also included additional training in cosmetic surgery at Baker Stuzin Baker in Miami, Florida. Dr. Brucker developed expertise in procedures for the face, breasts, and body through years of experience as a surgical resident, plastic surgery resident, and chief resident in plastic surgery at Rhode Island Hospital. He entered private practice in 2002. 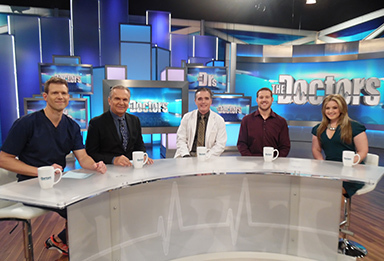 His contributions to the field go beyond his work as a plastic surgeon in La Jolla. He has conducted research as part of Brown University’s Department of Plastic Surgery as well as with the Wound Healing Laboratory at Northwestern University. His journal articles cover topics in rhinoplasty, abdominoplasty, and wound healing, and he has been invited to lecture and present at several of the profession’s top conferences. Several guidelines define Dr. Brucker’s work as a plastic surgeon. The approach that Dr. Brucker and his staff use is best described as nurturing and caring before, during, and well after the procedure. You can rest assured that you are in the hands of professional and attentive individuals who understand and fully embrace their medical responsibilities. They are also sensitive to the fact that they need to be an emotional support to patients before surgery and during recovery. They are happy to be there for patients throughout every step of the surgical journey. Dr. Brucker structures his consultations, procedures, and follow-up visits in a way that maximizes time with and care for the patient. 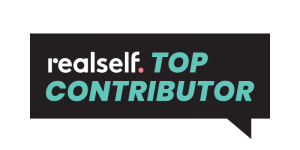 Uncommon for a plastic surgeon, he typically spends at least one hour in the initial visit learning about the patient’s goals and answering questions about treatment. He has found that this open communication makes for a better patient experience as well as better outcomes. Dr. Brucker will always be the one to formulate a specific surgical plan with each patient and believes this important assessment should not be made by a Coordinator or Nurse. La Jolla and Del Mar patients choose Dr. Brucker as their plastic surgeon based on their confidence that he will prioritize their safety, their comfort, and the quality of their results. During consultations, he reviews various treatment options, compares their advantages, and helps patients know what to expect during and after the procedure. He also takes the time during each surgery to sculpt the most aesthetically appealing features possible. Dr. Brucker invests in advanced equipment and trains in modern approaches to procedures, particularly those that improve comfort during surgery and recovery. However, too many surgeons latch onto the latest techniques because they promote speed and efficiency without considering the impact on the patient. With more than 15 years of experience, Dr. Brucker understands how to determine if new approaches are safe, effective, and beneficial to the patient. Dr. Brucker invites you to schedule an initial consultation to learn more about his work as a plastic surgeon. Contact his La Jolla practice online or by phone at 858-707-7517.